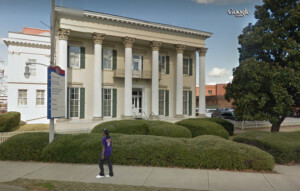 The historic Murphy House in downtown Montgomery will soon be transformed into a hotel. Most people know the Murphy House as part of the Montgomery Water Works. Ascent Hospitality has purchased the building, which the company plans to develop into the state’s third Marriott Autograph Collection Hotel. It will have 100 rooms and suites, plus dining and meeting space. The Autograph Montgomery is the latest project in the area for Ascent Hospitality. The company also developed the Hampton Inn and Suites Montgomery-Downtown, the DoubleTree by Hilton Hotel Montgomery Downtown and is in the process of renovating the old Bishop-Parker Warehouse building on Coosa Street. Ascent Hospitality also developed The Elyton Hotel in Birmingham. Built in 1851 for wealthy cotton broker John Murphy, the Murphy House is one of two remaining antebellum buildings in the neighborhood. It was home to the Beauvoir Club as well as an Elks Lodge before serving as a VFW club in the 1950s. Facing the threat of destruction, the Montgomery Water Works and Sanitary Sewer Board worked with the Landmarks Foundation to save the building in 1970, preserving its historic integrity while utilizing the space as an office. The Murphy House was added to the National Registry of Historic Places on March 24, 1972. The other Marriott Autograph Collection Hotels in Alabama are The Elyton in Birmingham and The Grand Bohemian in Mountain Brook.